Right now, people are searching on Google for your products or services. If you want to reach your target market at the right time, you need to be advertising on Google with Google Ads (Previously Google Adwords). Google Ads is currently the largest pay per click marketing network on the internet. How does pay per click marketing work? Well, in short, a client pays the search engine, such as Google, every time their ad is clicked. It sounds costly but in fact you control the budgets and can set limits to control monthly expenditure. 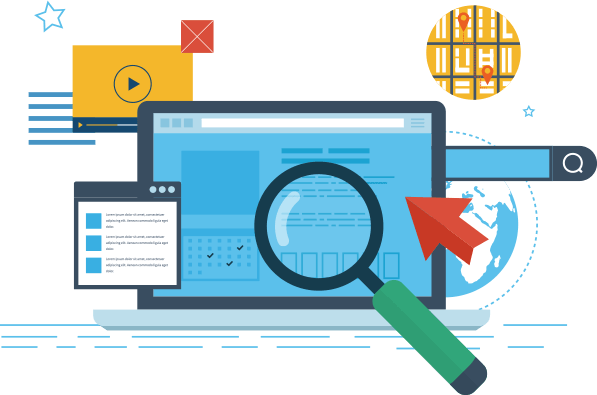 Advertisers with various budgets can utilise a service such as Google Ads; an advertiser wishing to test the results of pay per click marketing can do so with a small initial budget and retain full visibility of how that money was spent. Budgets can be scaled at any time depending on the calculated return on investment and this affords advertisers flexibility in their online marketing. Google Ads is not only flexible but also offers high quality, targeted visitors to your website. Advertising on Google means that your ads are shown to people searching for your product or service and this provides a bigger opportunity to convert those visitors into customers or clients. Advertisers can target potential customers based on location, language and device. This becomes particularly useful for local businesses who wish to target a smaller geographic location. International businesses with a larger global footprint can target multiple languages in countries across the world. which means that we are certified to manage Ads accounts and we follow Google’s best practices.